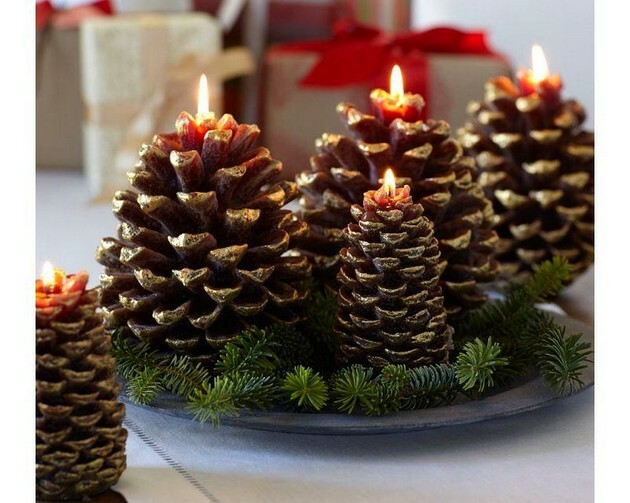 Pine and fir cones are just perfect for everything related to Christmas home decorations. Handmade stuff created from this wonderful natural material brings a note of special charm and hominess to our homes and besides does not cost a penny! If you do not doubt these facts, we have 25 ideas for your inspiration! 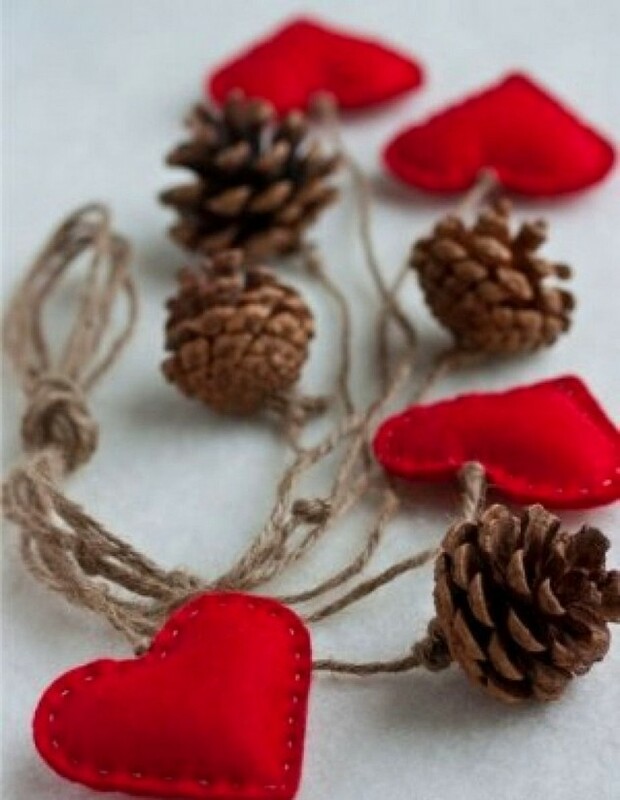 Being a natural material, cones preserve the energy of pure nature. That is why such décor looks especially gorgeous in interiors featuring motifs of eco-style. 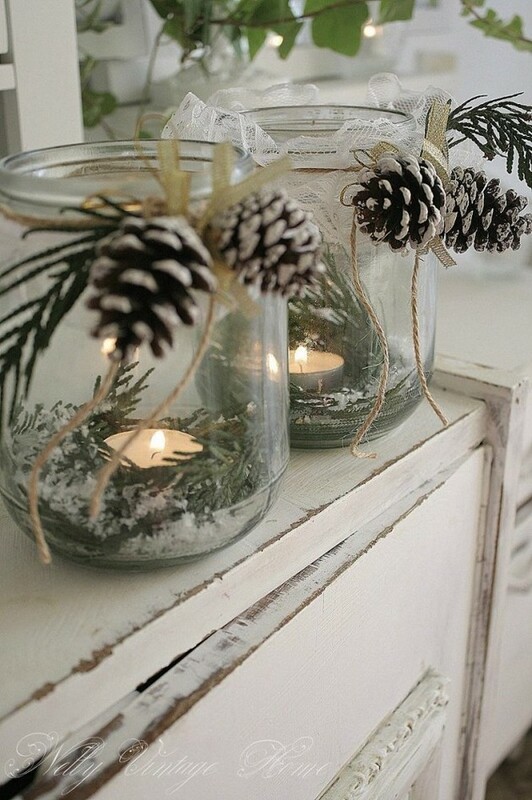 The key thing about such a decoration is simplicity and naturalness. Is your home designed with Scandinavian motifs? Great! 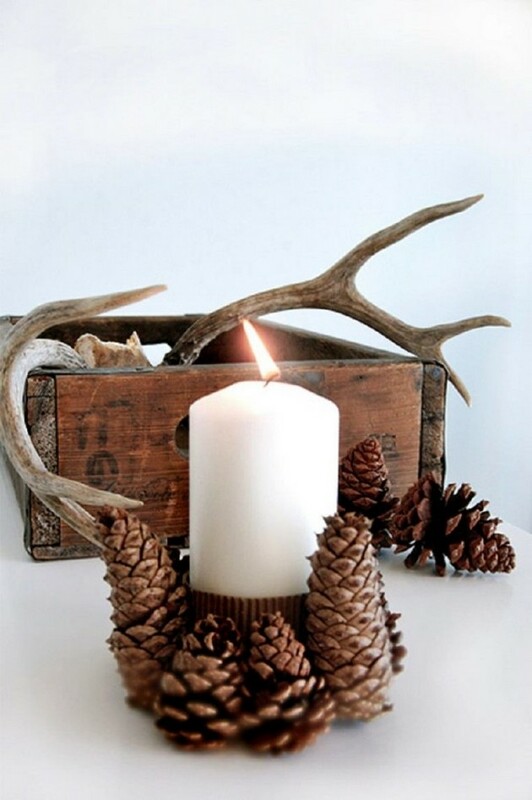 All you need for a handmade Christmas composition is a few cones and a candle. A vintage chandelier can be refreshed with some white paint and several cones fastened with a fishing line – this will create stunning “floating” effect. 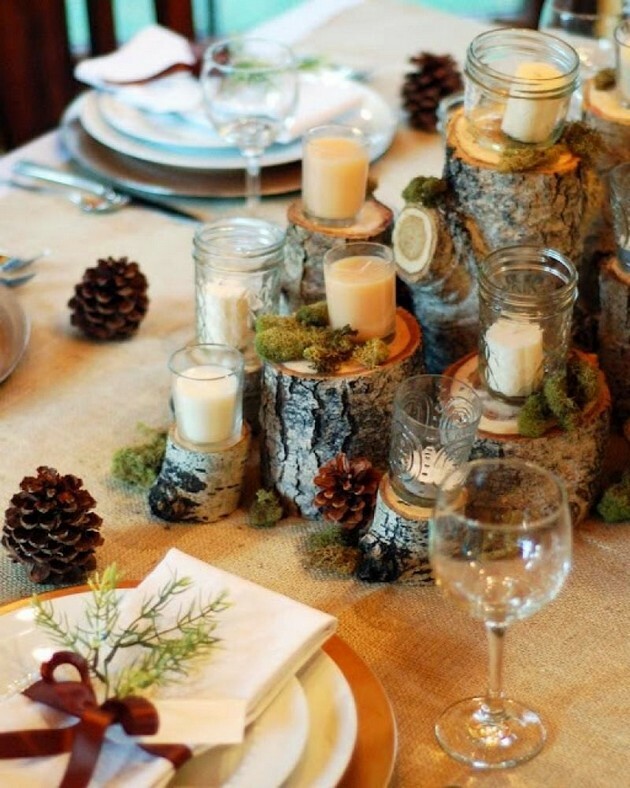 Eco style welcomes dried branches. They add the sense of lightness and dynamics to interiors. 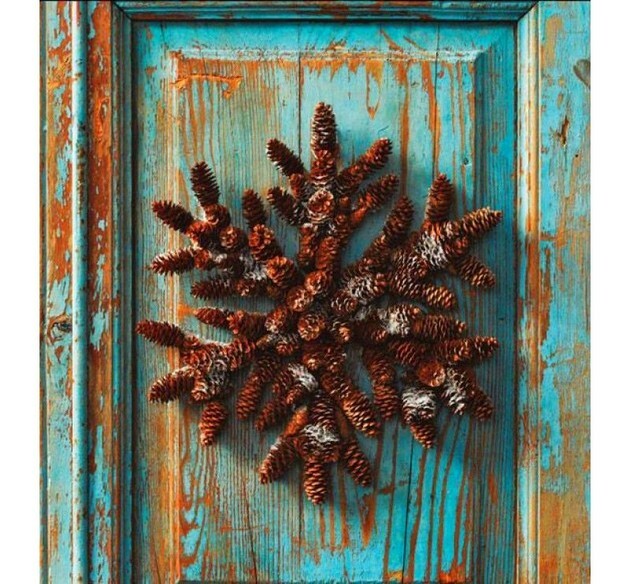 The simplest compositions with pinecones may be created out of a few cones glued around with branches and placed in a vase with birch bark décor. 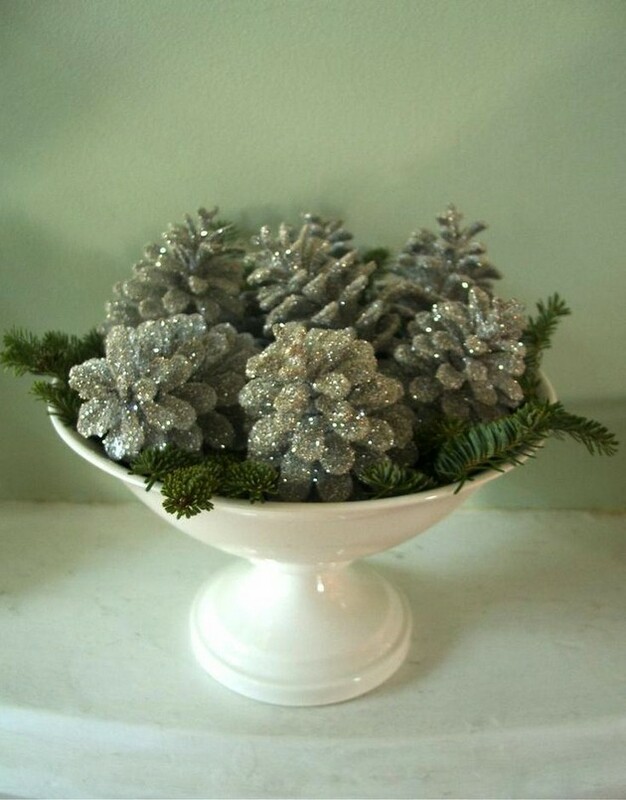 Alternatively, a glass bowl can be filled with cones and complemented with a few branches. And a line of Christmas lights will bring a finishing touch to this composition. 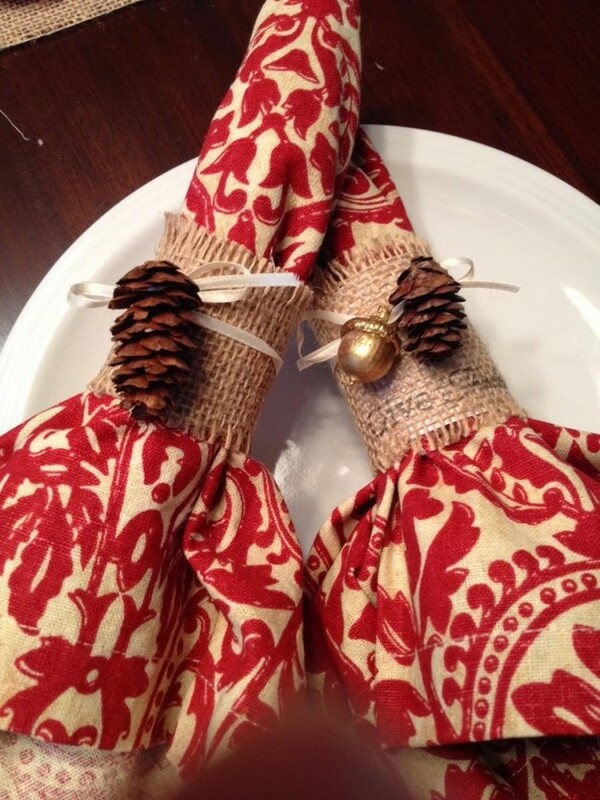 One more idea for a DIY pre-Christmas evening will take you some sackcloth, a few cones, several Christmas tree decorations and satin ribbons. 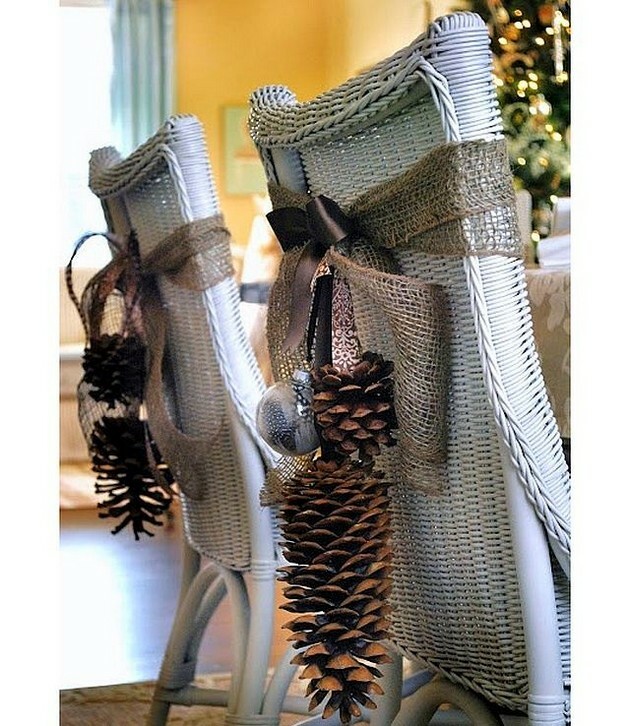 Chairs and napkins decorated with cones set very special holiday atmosphere in the dining area. The best thing about cones is that they look great per se, in their natural way. But if you do need to accentuate this natural beauty, you may add small colorful details. For instance, green flower pots. 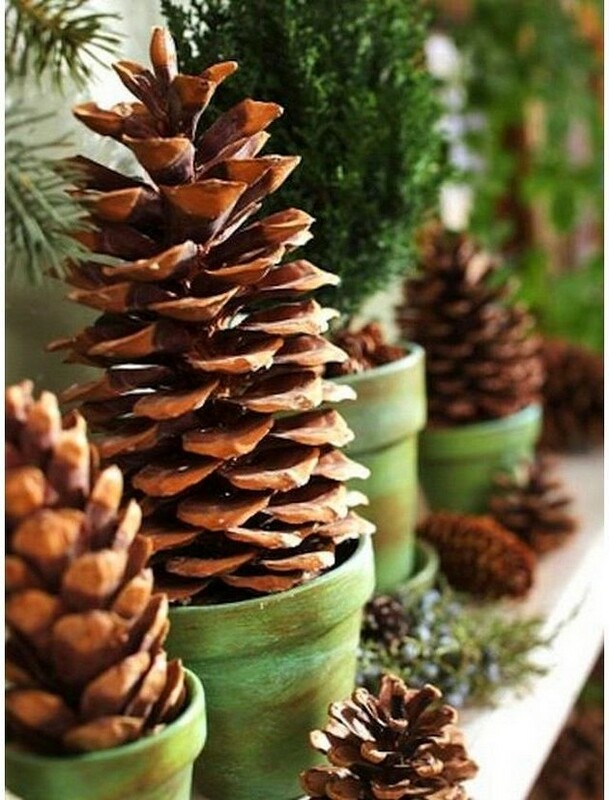 Fill them with big cones and place between your favorite indoor flowers. 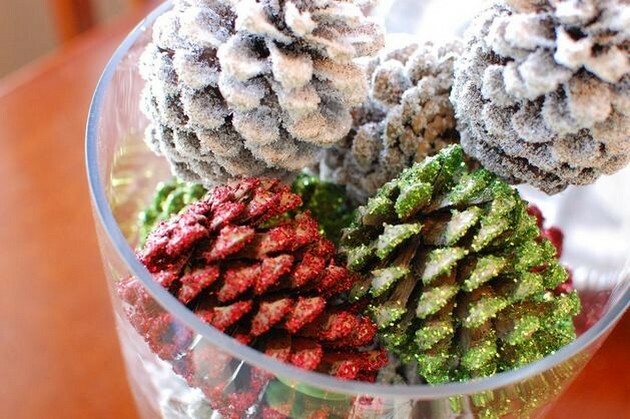 If you long for some other primary color, dilute cones with Christmas decorations of the same color range. If you don’t mind painting cones, give preference to red, green, silver and/or white spray paints. Christmas spirit starts right from your porch. 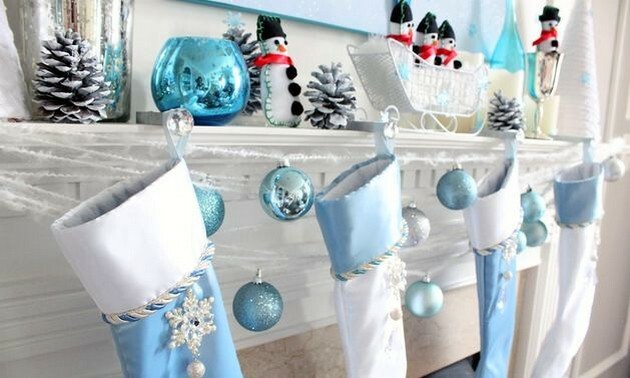 So, if you’re a lucky owner of a cottage, then your terrace can be turned into a splendid Christmas setting. 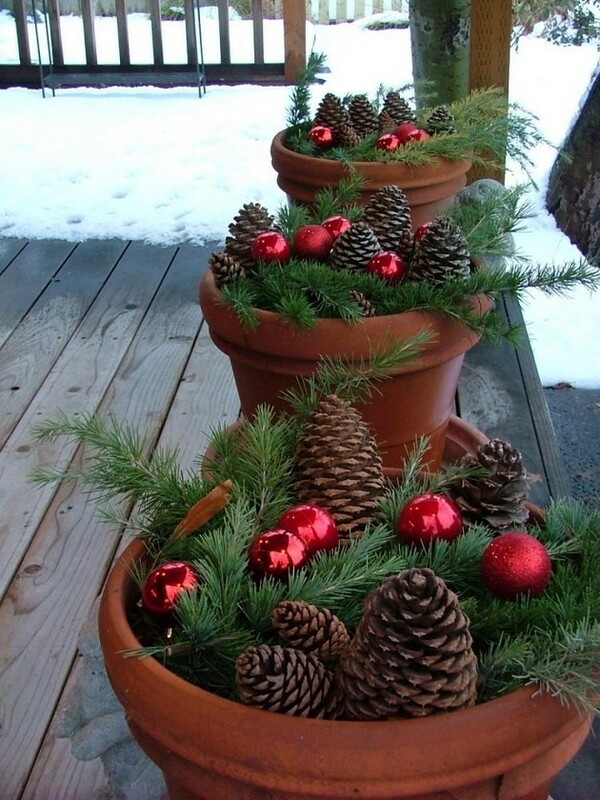 Most likely you have empty flower containers that remain idle in winter time anyway. 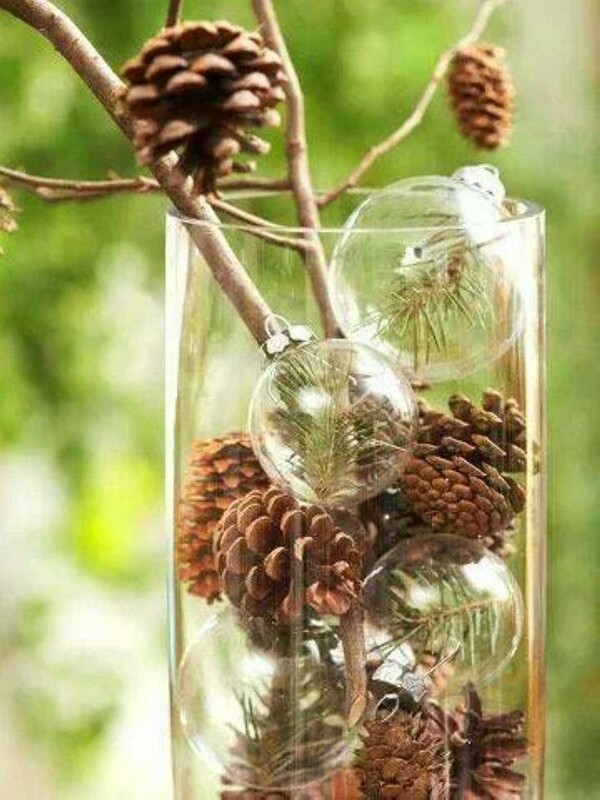 Why not fill them with cones, Christmas balls and green pine branches? 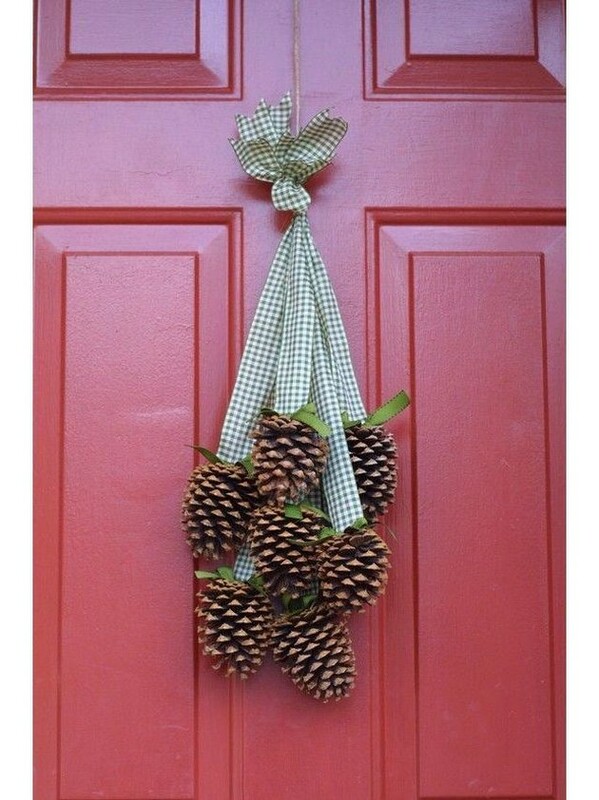 Some idyllic rural note can be brought by a handmade Christmas wreath on your door. Chequered fabric can replace traditional satin ribbons in this case. 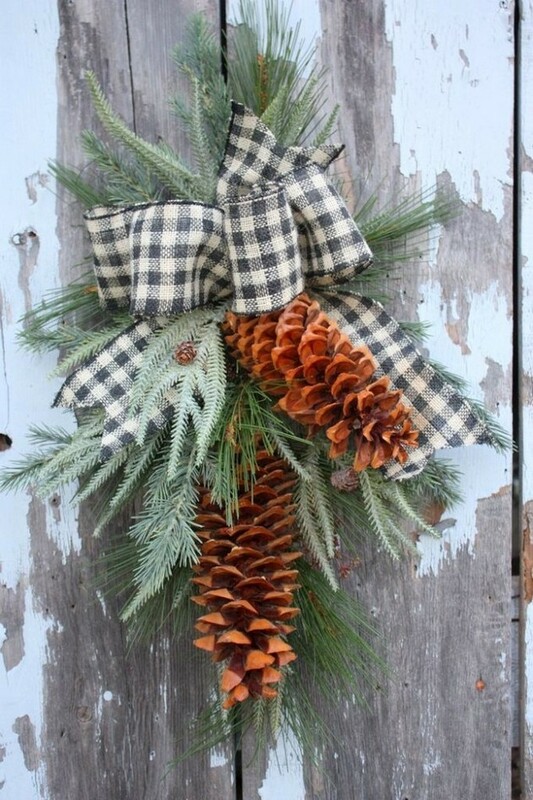 A handmade cone wreath can be shaped like a snowflake, which is also very Christmas-style. 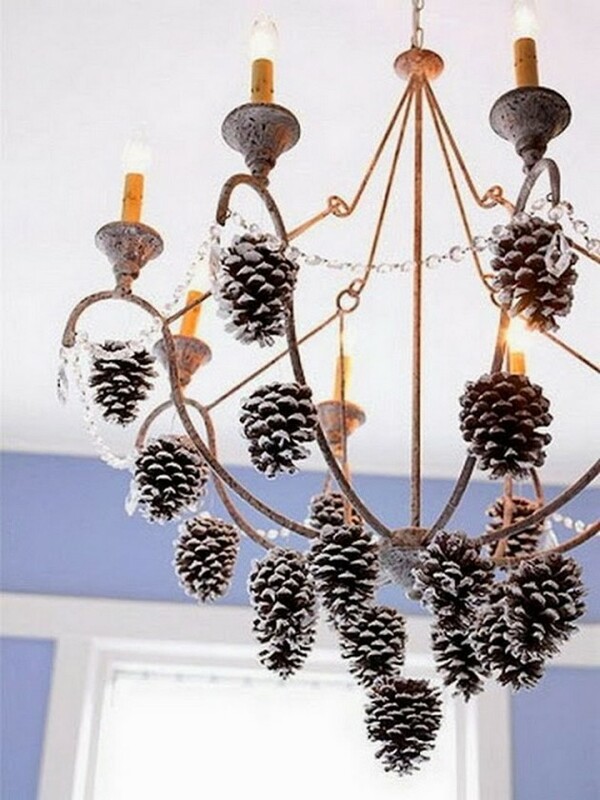 If you want to literally feel Christmas in the air, arrange a few fresh fir branches with cones on a chandelier above the dining table. 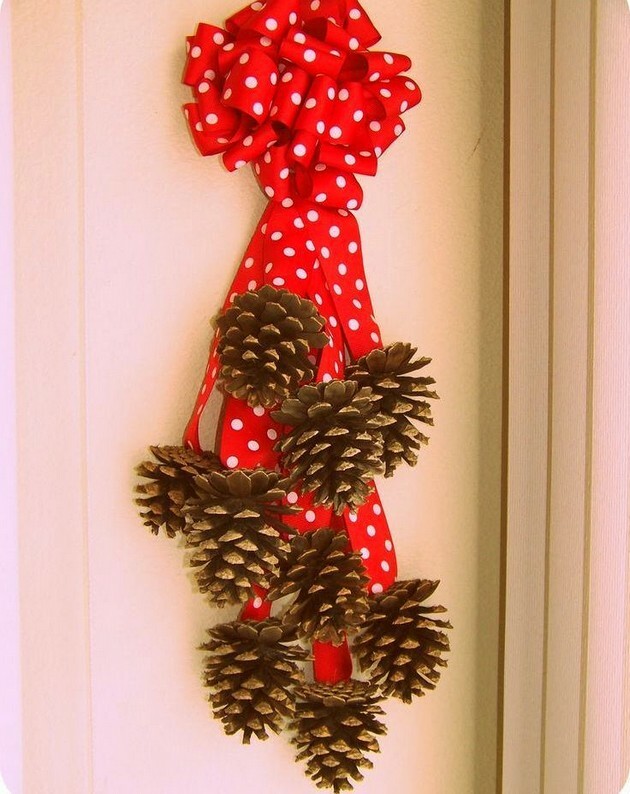 Cones look spectacular in the company of red satin ribbons on interior doors. 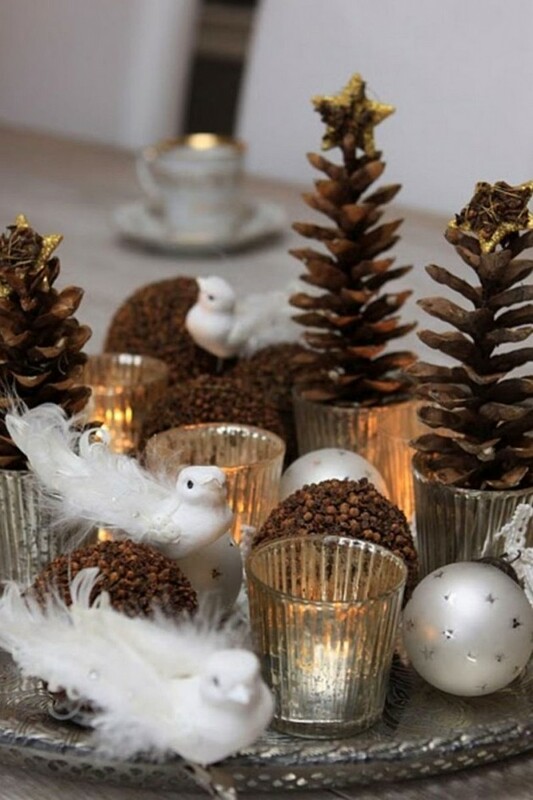 Dry branches mixed with cones and transparent Christmas decorations in a glass bowl set light and airy holiday atmosphere we so much long for. 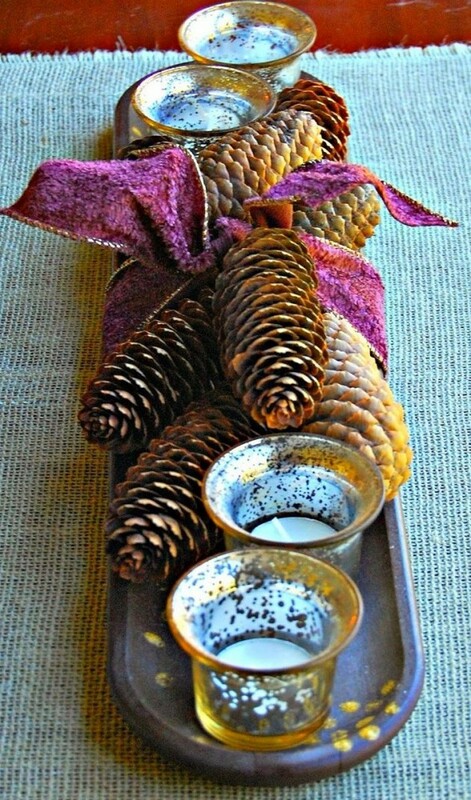 Candle holders and cones arranged on a tray and finished with a ribbon create a perfect piece of Christmas and New Year décor. 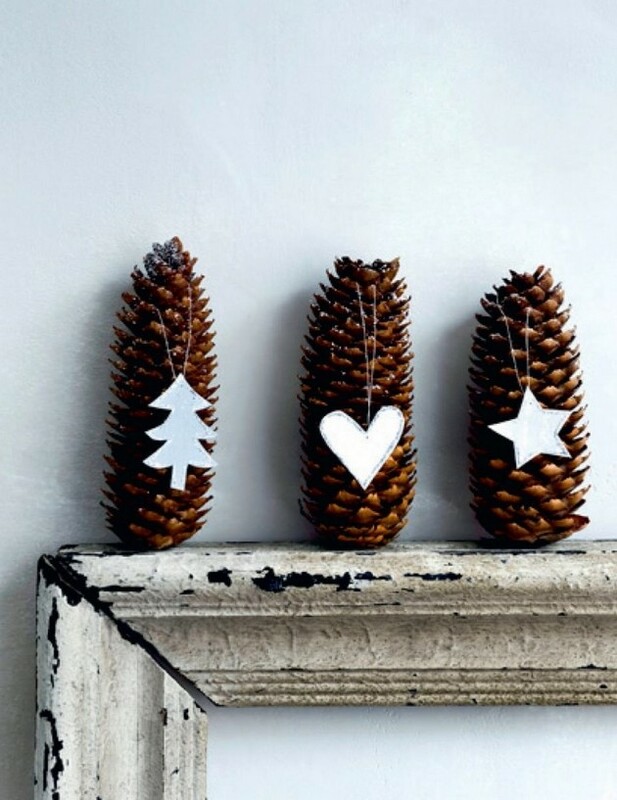 If you want something simple, just cut out a Christmas tree, a star and a heart from common paper and arrange them on cones. What about lighting a candle? 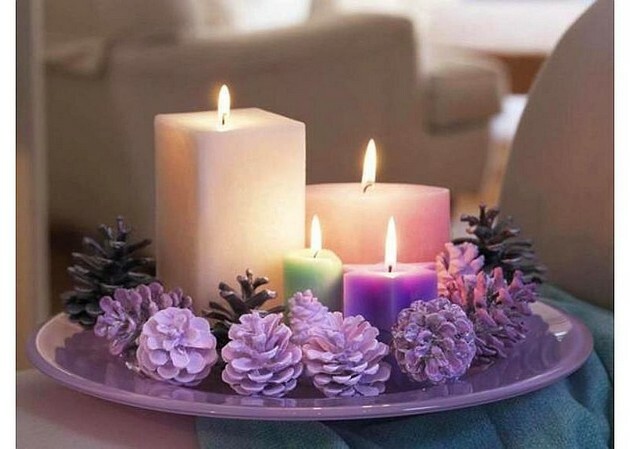 Candles symbolize new life and revival. 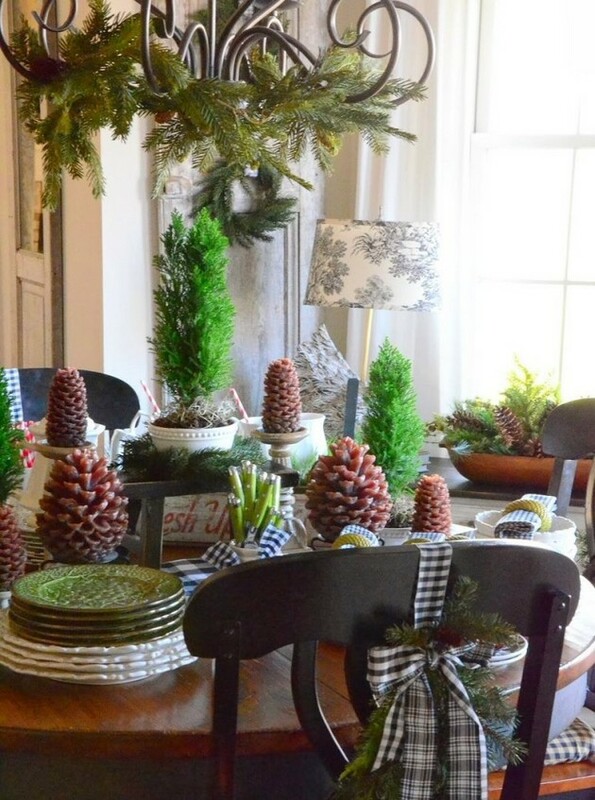 Placed on small stumps and complemented with cones, they will surely set a warm and cozy table setting. 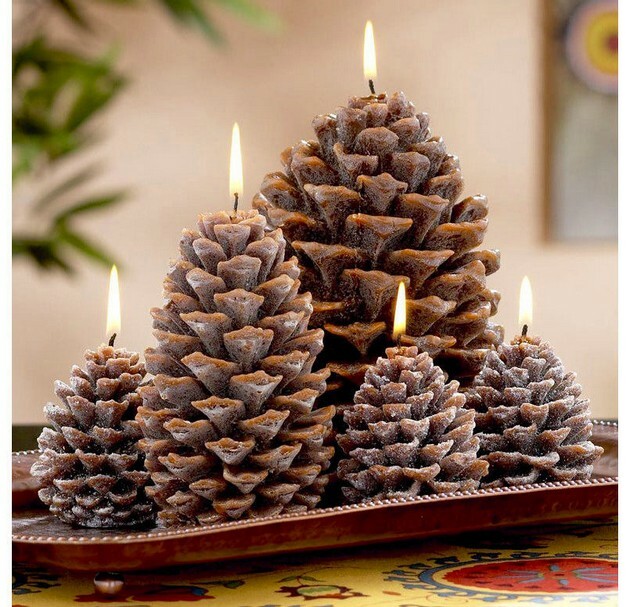 Or you may just buy pinecone-shaped candles and arrange them on a tray or randomly around the room. Just don’t forget to light them on the Christmas Eve!